A community mausoleum is a large building designed to provide above-ground entombment for a number of people. Sharing the costs of the mausoleum with other individuals makes it more affordable than a private mausoleum. 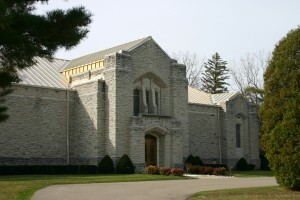 Dayton Memorial Park Cemetery has two mausoleums: The Abbey Mausoleum and Whispering Pines. 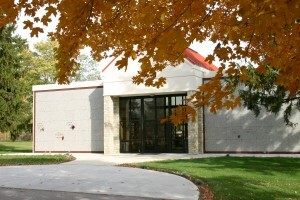 Dayton Memorial Park Cemetery has many ways to accommodate cremation disposition. Two columbaria, constructed of numerous small niches designed to hold urns containing cremated remains, are located outside near the Abbey Mausoleum. There is also a niche wall located in the Whispering Pines Mausoleum. In our effort to continually serve our families' needs as completely as possible, we offer the opportunity for them to purchase monuments, markers (granite and bronze) and complete lettering, engraving, and date carving by simply making arrangements with our office. Families find this extended service to be a convenient way to update and finalize the memorial of their loved one. Our price quotations are very reasonable; the service and the workmanship is of the highest quality. When choosing the right burial site, several things must be considered. What type of memorial do you prefer? A grass level marker or an upright monument? How many burials do you expect to take place? How much do you wish to spend? Answers to these questions will assist you to make the right purchase. Dayton Memorial Park Cemetery has many graves available for purchase and a professional staff to help you make the decision that is right for you. Dayton Memorial Park Cemetery has a great selection of granite and bronze markers. Click here to contact us for information on creating the perfect memorial for your loved one! Dayton Memorial Park was created to be perpetual — we have a long term commitment to our families! Dayton Memorial Park Family Advisors are very familiar with your lot and all memorialization opportunities. Dayton Memorial Park orders your memorial direct from the manufacturer — there are no middlemen. Dayton Memorial Park makes sure that only the very best materials are used for your memorial, because the appearance of the entire park is very important. Dayton Memorial Park knows you and your family. You have dealt with us either before or during your time of loss. Dayton Memorial Park is a nonprofit organization; unlike "for profit" monument companies, funds generated from monument and marker sales are used for the continued operation and beautification of the cemetery. Dayton Memorial Park can provide a convenient budget plan for purchasing your memorial. 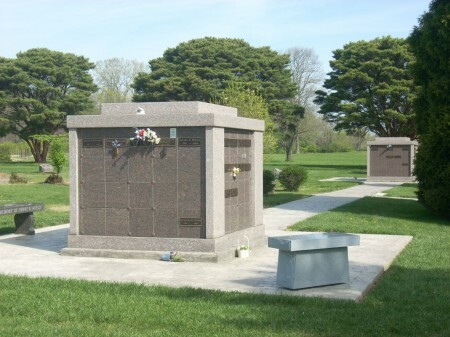 Dayton Memorial Park has crews who are specially trained to handle your memorial placement. Dayton Memorial Park can handle future memorial needs quickly and efficiently. 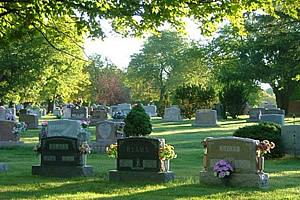 YOU have entrusted Dayton Memorial Park with the responsibility of caring for your loved one's resting place forever. It is only natural that you would trust that the same great care and personal attention will be provided when you purchase a memorial from Dayton Memorial Park Cemetery and Mausoleum.